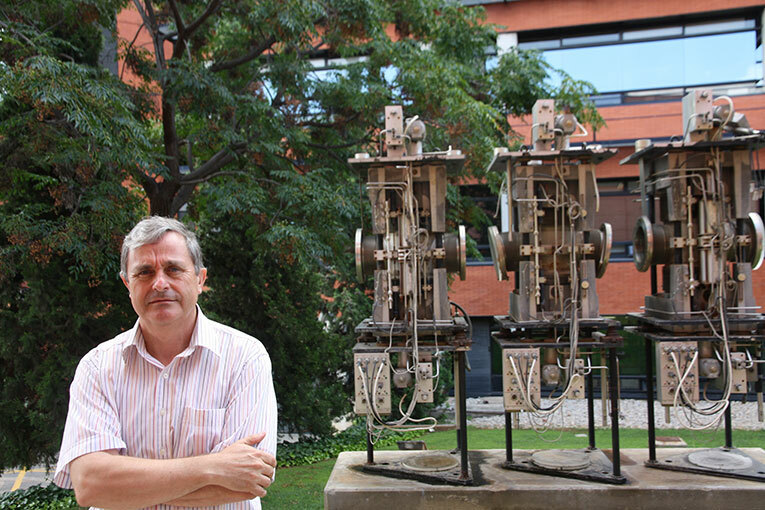 Juan Fuster (Alcoi, 1960) is an experimental particle physicist and research professor at the Institute of Corpuscular Physics (CSIC-UV), which he directed from 2003 to 2007. Between 1987 and 1996 he participated in the DELPHI experiment at CERN and he later participated in the construction of the internal silicon-based detector for ATLAS. 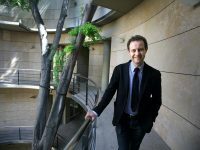 He was also the manager for the National Program for Particle Physics and the coordinator for the Physical Sciences area of CSIC. 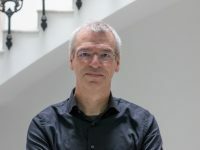 He is currently European President for physics and detectors of the Worldwide Study in the Linear Collider, appointed by the ECFA (European Committee for Future Accelerators). 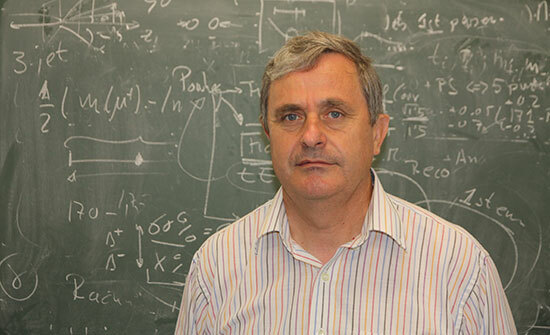 In recent weeks, Juan Fuster talked to the media on many occasions as co-chairman of the Organizing Committee of the International Conference on High Energy Physics (ICHEP), the most important event in physics particles worldwide, the latter edition of which was held from 2 to 9 July in Valencia. 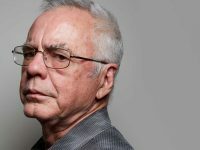 We talked to him about the highlights of this discipline and the understanding between scientists and journalists, a relationship he considers necessary. What are your highlights of the ICHEP? First, the analysis of all the final results of the Higgs boson study. Now we know this particle better, we have it more enclosed, and it looks more and more as we expected of the standard Higgs, but on the other hand it also opens the door to many other interpretations, it is a gateway to new physics. Secondly, with regard to cosmology and the BICEP2 results that were published concerning the inflationary era of the universe, we can agree that they disagree [laughs]. The issue still needs confirmation. We have also been talking about future projects. For the first time, a global programme for particle physics regarding accelerator physics, neutrinos, etc. was presented. The plan of the community is clear, but implementing the plan is still a challenge. Besides, although the conference did not stress this question, we were able to bring the leads of great scientific laboratories closer to Spanish industry. And finally, we tried to represent more aspects of science, convey the fact that scientists are also people, who see the world around them and have an opinion about it. That’s the reason there were exhibitions on the role of women in science, for instance. We also did a concert to advocate for peace. Science and music are two disciplines that create harmony and make people collaborate and frontiers disappear. They help us feel closer to each other. During the congress a significant portion of the time was devoted to science communication. How important is this issue to scientists? I think it is essential. Science is mostly paid with public money. So, I understand that as a community that spends public money we must be accountable in front of the society, communicate what we do and do so in a lay language, so people understand the relevance and reach of what we do. Also, for those who live it, science is a beautiful field and we like spreading our emotion and vocation. Do you believe the media play their role in that? I had a very pleasant experience with the media during the ICHEP conference. As with everything else, you need to work really hard. Sometimes a story where someone put little or no thought does not say what it should. When scientists talk, we use specific words, which need to be exact. No need to look for a synonym. If you look for a synonym, you are screwed. And of course, these things must be transmitted to the journalist, you must provide information that the journalist can understand. When they do, whatever gets published makes sense. Journalists do their job because they know how to reach the public, which is more difficult for us. I think this understanding is good and we have to consider it, push it forward. But it requires a lot of work on both sides. During the course of the conference, speakers made constant references to neutrinos or the gravitational waves generated by the Big Bang. Why do you think these issues generate so much media attention? I think frontier areas are always compelling. Neutrinos are thingies we still don’t know a lot about. We know they have mass and they oscillate, but we are ignorant of their mass hierarchy and we do not know if they are their own antiparticle, and this has implications for new physics… It is a hot topic. You have the particle because it exists and you can work with it, and there’s a whole world to discover, it has a lot of yet undetermined properties. This is fascinating for a scientist. Concerning gravitational waves, we have observed the polarity of light, of electromagnetic radiation. Why are we here? Why is the universe the way it is? People have wondered about those questions, we do and we will. Therefore, a better understanding of the inflationary era is a great explanation for the world we see. Confirming we understand it would be a tremendous satisfaction. In fact, were it to happen, Andrei Linde and Alan Guth would become Nobel Prize candidates. For the press, one of the most striking participations in the ICHEP was precisely the cosmologist Alan Guth, a defender of the inflationary theory, which predicted the existence of parallel universes. What’s your opinion about it? This is conjecture… I am an experimental physicist. In this sense, they are distant things for me. In experimental physics we have the LHC, we have Higgs, we have the Top Quark, which is also a bit like neutrinos and is still essentially unknown… I think all that about multiverses is still distant and it seems difficult to test with current machinery. I prefer to advance step by step. But we need people who look far away. Because if you look far away, you can see greater things. I’m more humble, but I find it very interesting. 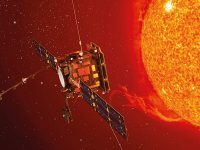 The people in charge of the European Planck mission announced during the conference that in a few weeks they would provide new data to the debate on the first signal of the Big Bang. Do you think it will be a great breakthrough? I couldn’t say. The ICHEP was not a cosmology conference, so I imagine both Planck and BICEP2 would communicate very relevant things concerning their fields in specialised conferences. We invited them here because the inflationary process greatly affects particle physics. Whether or not it exists, within the different models that parameterise this inflationary period there could perhaps be a particle called inflaton. The inflaton could be the Higgs or something related to the Higgs. So this process could change the way we understand the standard model. That’s why we invited them and I think there was a very interesting discussion around the issue. What are the shortcomings of the standard model of particle physics and what theories challenge or complement it? We still do not know if the Higgs boson corresponds to the standard model or to other models. There are other models, extensions of the Standard Model, which predict many more Higgs. The Higgs boson is not any particle, it is a complex object with unique properties and we do not know if it is just one or there’s more. The standard model has been in the works for fifty or sixty years and works really well. Well, it works really well in the energy or distance range we have explored. Newtonian physics, that is classical mechanics, works in the range in which we apply. It is not a completely accurate theory, but we don’t need quantum mechanics to build a bridge. We would be using sledgehammers to crack nuts. But classical mechanics is not the answer to what nature is. We know that also. In the range of the subatomic world we explored, the standard model works very well, too. But there are a number of questions it cannot assimilate: the reason why there is more matter than antimatter today or what dark matter is made of. It doesn’t include gravity either. Conceptually, there are some points that we know that the theory following the standard model will have to include. Here’s where you get concepts like supersimmetry, string theory, additional dimensions, Technicolor… They are theories that attempt a broader description where these questions are answered. Now we need predictions that we can test and compare to see whether or not these models work better than other ones. This is the path the Super-LHC and future accelerators must take, describing and testing first the standard model, to see if we reach a point where predictions fail, and also other models. No doubt the issue that generated the most interest is the Higgs boson. Two years after the announcement of its observation, do you think that the public has come to understand the magnitude of the discovery? I think they managed to understand the magnitude. Understanding what the Higgs means is a very different thing, because even physicists do not understand it too well [laughs]. But magnitude is manageable. Just look at the media, there was a huge coverage. When it was discovered, the news item was in every diary’s year highlights. An American newspaper described Fabiola Gianotti as the woman of the year… When we talk about industry and science to explain some applications, they are not as successful, not so many people attend. Now, you talk about Higgs and have a full house. People want to know. It is something related to mass, to the origin of the universe, to the reason why we are here, and people is interested in that. They know it is a step forward in order to understand nature better. It doesn’t give the final solution to why particles have the mass they have, but it answers how mass is generated and how they relate to each other. CERN celebrates its 60th anniversary. Beyond the discovery of the Higgs boson, which contributions would you emphasise? In high-energy physics the important and exploratory step is increasing the energy. Increasing the energy is like getting on a ship and going to a new continent that people never saw. When you get to this new continent, animal or plant species may or may not be the same as in your continent. But you won’t know if you don’t go there. The new start of the LHC will provide a higher kinematic energy threshold. That is, we will explore a new world. In this new world we will check if the same laws apply or there are new laws and new particles. That is the most important thing about this new step. It is something that will be explored relatively quickly. In a couple of years the energy leap of the new machine will be news. Felip Pineda. Journalist. Mètode Science Studies Journal (Valencia, Spain). Periodista. Revista Mètode, Universitat de València.